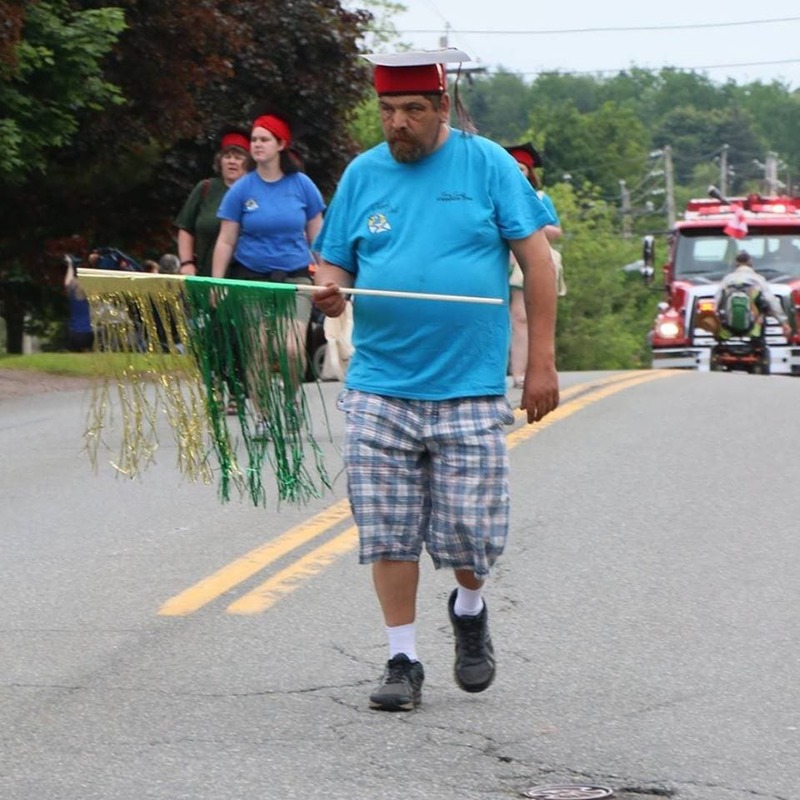 Dave Kent, walking in the Canada Day parade 2018 in Truro – representing People First. Contributed. KJIPUKTUK (Halifax) – Dave Kent, a much beloved People First Nova Scotia activist and spokesperson, passed away suddenly yesterday of a heart attack. I only knew Dave through occasional encounters while reporting on issues of inclusion and community living. But then again, it wasn’t hard to get to know Dave, he was a straight shooter and he had no secrets or hidden agendas whatsoever. Dave became involved with People First some twenty years ago, says Cindy Carruthers, executive director of the organization. Dave was on the provincial board for the last 9 years or so, as treasurer, vice president and then as president at the time of his death. People First Nova Scotia is a wonderful self-advocacy group whose members believe that people with intellectual disabilities should live in their community, rather than being warehoused in large institutions. “I would get interview requests from reporters, and he never hesitated. If it was a difficult topic like legislation, we just got back to what People First stood for, and he was very solid on that. That was his mantra, almost,” Carruthers says. Carruthers remembers one such occasion, when Joe Rudderham, executive director for the Community Services Disability Support Program, discussed the wait list, and Dave, who had asked for but received no supports at that time, asked how somebody like him, not on any wait list, would have to wait. “He had such an ability to get to the core of the issue, to really nail the issue,” Carruthers says. For the last four years of his life Dave had his own apartment in Truro, a place he loved and knew very well. “Everybody knows him here, he was a fixture in this town,” Carruthers says. Prior to moving into his own apartment Dave occupied a room in a boarding house, working for a while at a taxi stand, and doing odd jobs. He was never institutionalized, unlike so many people labeled as intellectually disabled. “I learned so much from Dave, and from all of the People First members. Dave was so much more than a work companion,” Carruthers says. I got to know Dave through my work with People First Nova Scotia about 5 years ago. He was indeed a straight shooter as Cindy says. He was also a kind and generous person who was both passionate about improving the lives of those labelled with an intellectual disability and compassionate with everyone he met. But most of all, he made me laugh! Working with him was a privilege. Rest in peace, my friend. You will be missed. So pleased to see the kind comments about David. Knew him in his younger years and as my son Terry said – he was a fine friend to those he cared for. Many of the young people he grew up with had wonderful things to say about him. RIP David.